Owing a detached family home is becoming increasingly difficult in the major cities of Malaysia. The exorbitant land price in cities like Kuala Lumpur, Ipoh, Malacca, George Town and Johor Bahru is forcing the prospective homeowners to build their dream homes in extremely constrained spaces. However, that should not deter you from building a very comfortable home. Just in case you are finding yourself little short on ideas, don’t hesitate to take inspirations from these tiny two story houses. 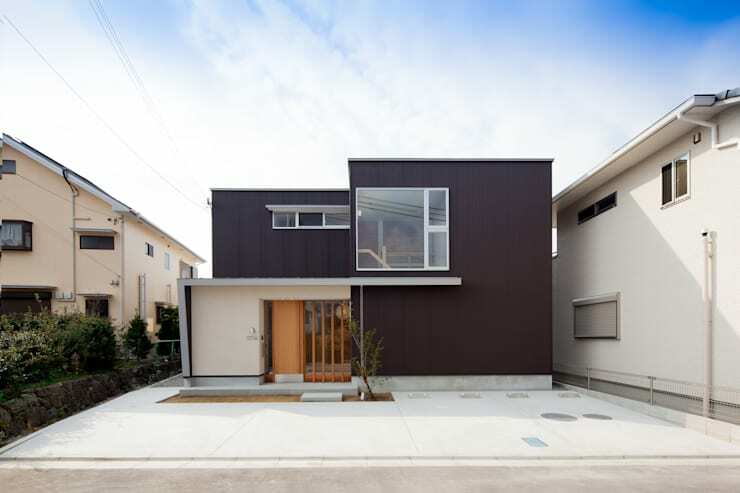 The noteworthy design of this small dwelling does not escape the notice of the passers-by. Overall, it is designed like a traditional hut. But it encloses a comfortable two story living space within its unique outer shell. 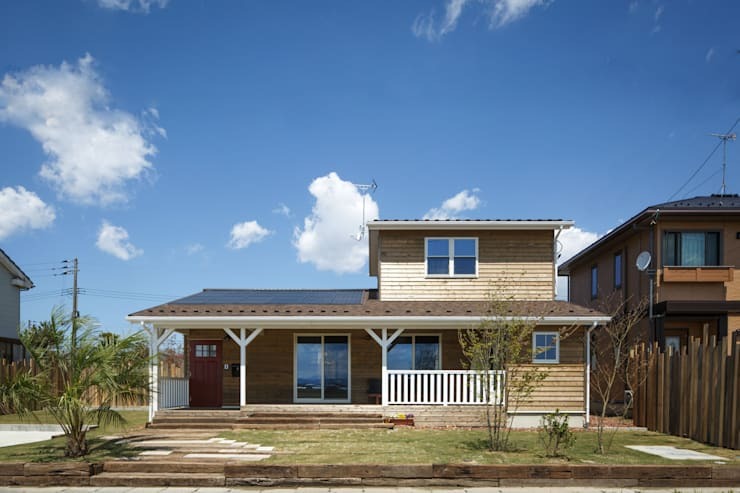 Wood clad exterior walls are hailed for their beauty and sustainability. 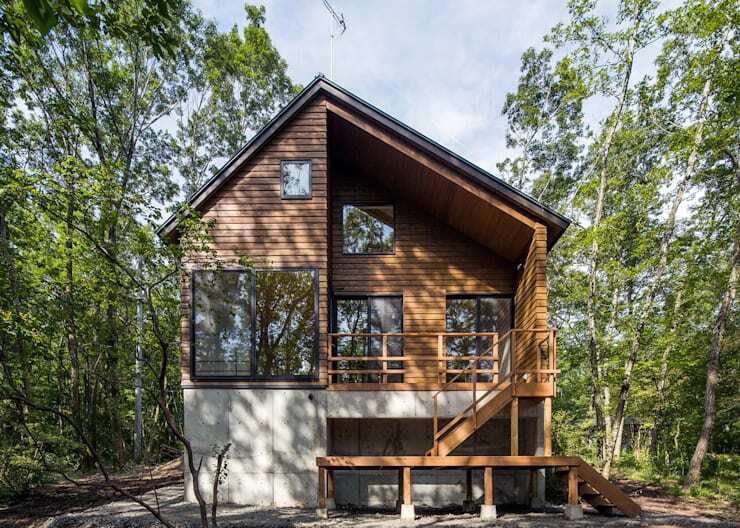 This eco-friendly small retreat has perfectly used timber to decorate its façade. The glass panelled windows ensure, the owners receive a generous view of the surroundings. 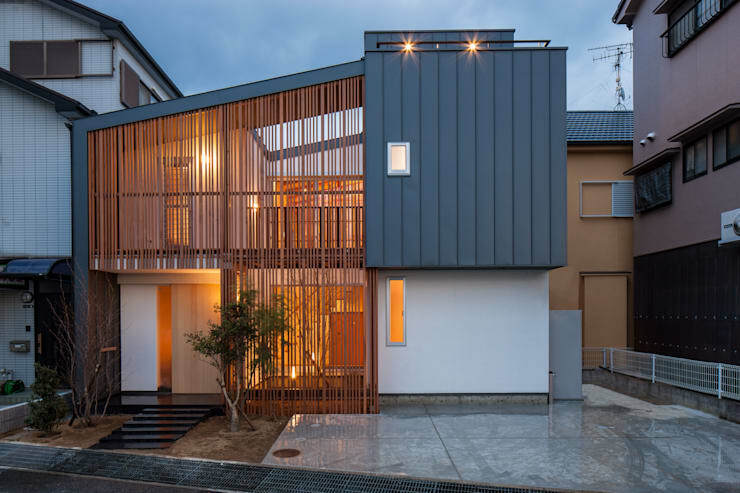 The façade of this tiny two story building is decorated with grey and white tones and wooden shutters. However, it is the roofing system that manages to grab the attention first. 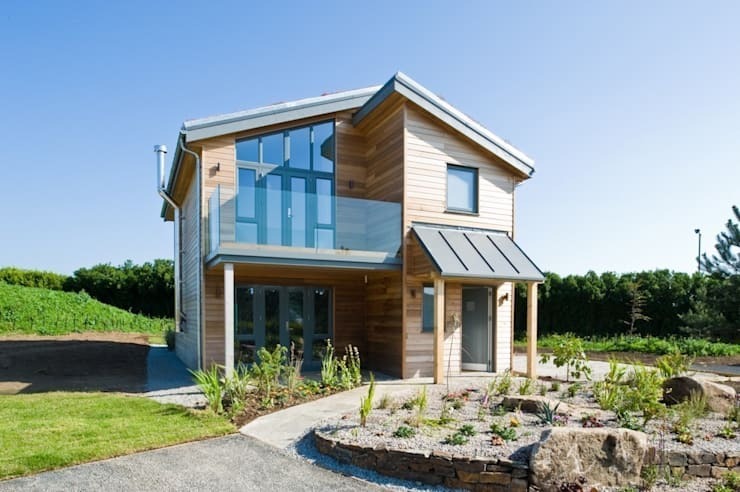 Check out these compact family houses for some ingenuous design ideas. Not often do you see such beautiful execution of a simple design. This two storey house is divided into four quadrants. One of them features a small porch with wooden front door. To make it look even more attractive the architect has designed a small garden just in front of the main door. The combination of grey and white seems to be in vogue at the moment. You too can incorporate this colour scheme in the exterior and interior of your residential home. Don’t forget to add a bit of spice in the form of a brighter accent tone. The architect of this residential building managed to make an optimal use of the available space. 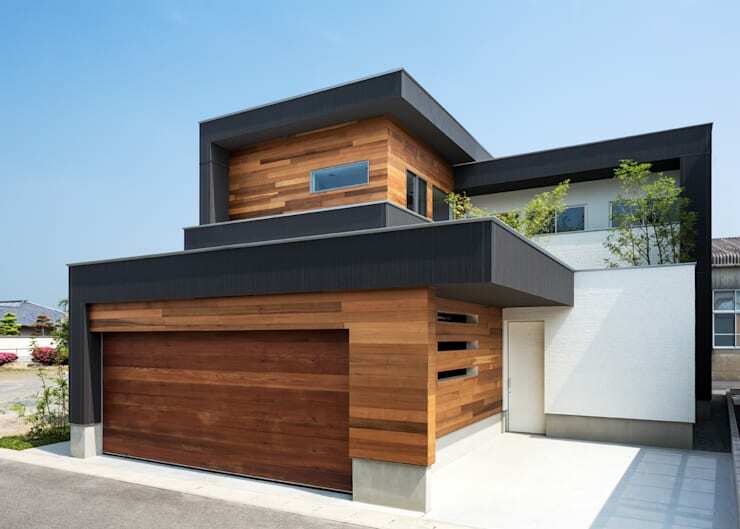 Moreover, its wood clad exterior walls looks even more dramatic with a hint of black and white tones. Remember a stylish home also deserves a stylish garage. It is these finer details that make your house look so special. Wouldn’t it be wonderful to revive some of the features of traditional Malaysian dwellings and design a spectacular small home in the process? 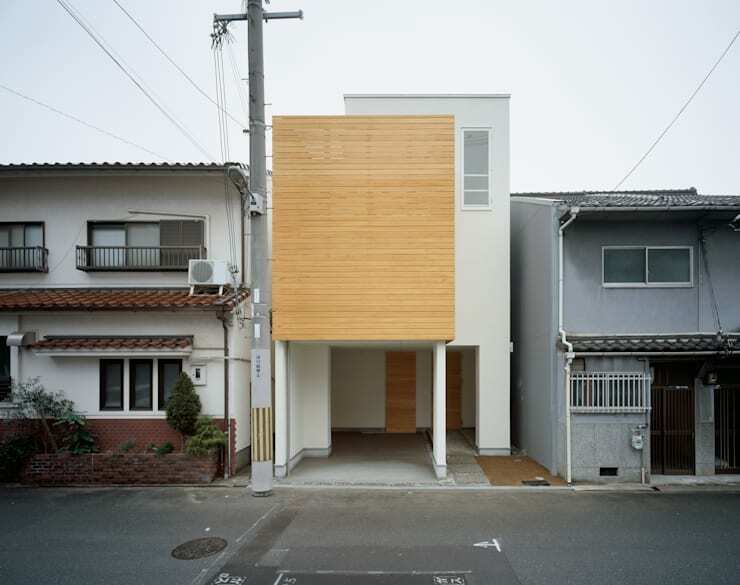 See how charming this house looks despite its smallness of size. Use of two different roofing materials adds an element of surprise. Once again we see the application of simple design in a contemporary home. A combination of wood, concrete and metal makes it look even more stunning. The front yard perfectly matches the façade design. For a stylish front yard full of greenery, have a chat with an experienced landscape designer. 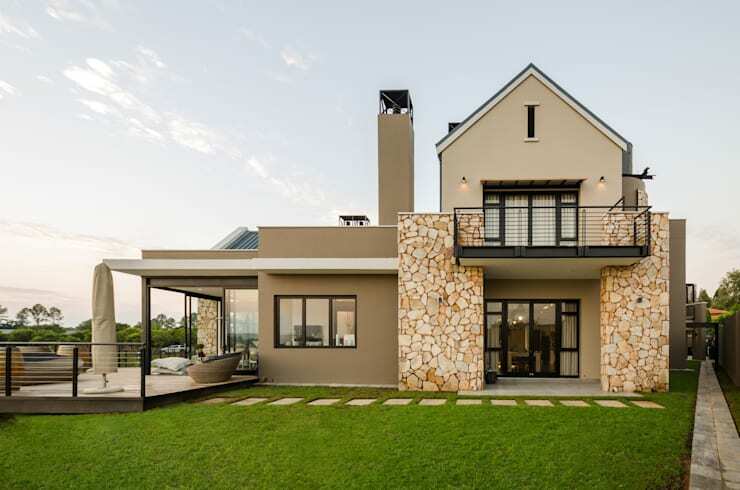 Earthly tones can help you to design a remarkable façade for your home. Additionally, one of the outer walls of this home is decorated with stone features. 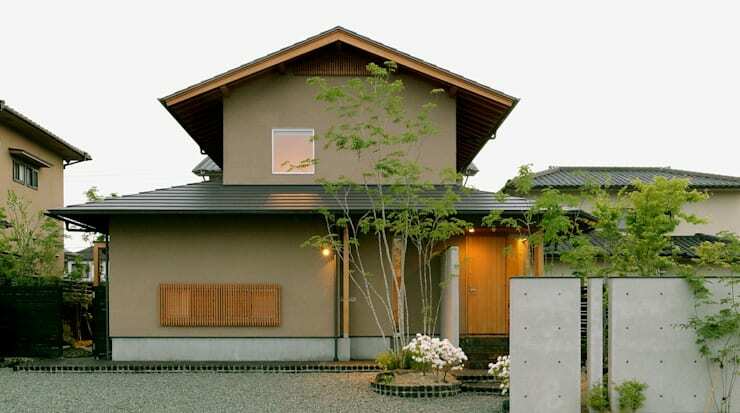 A combination of gable roof and flat roofing system also adds a pleasant appeal to the house. How about designing an open and elegant home using stylish balcony designs? Balconies were hallmarks of many nouveau homes. There is no reason why you shouldn’t make an optimal use of that. 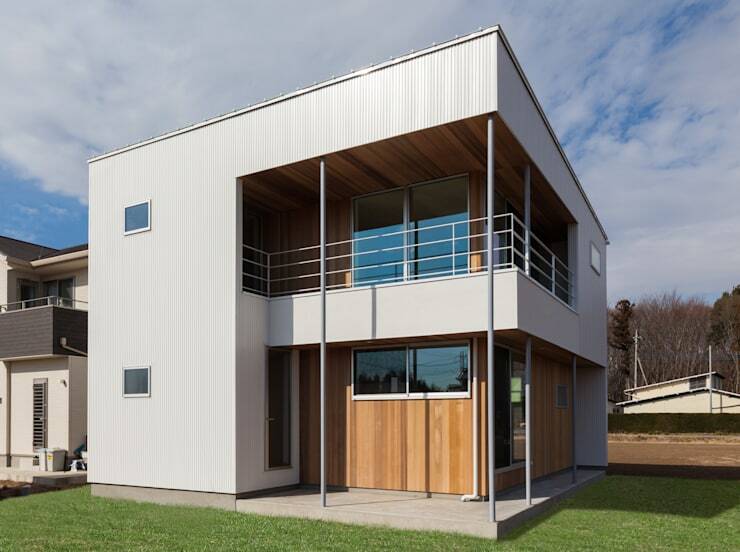 Modular houses are going to have a huge impact on the real estate market. They are more cost effective and quicker to install than the traditional structures. 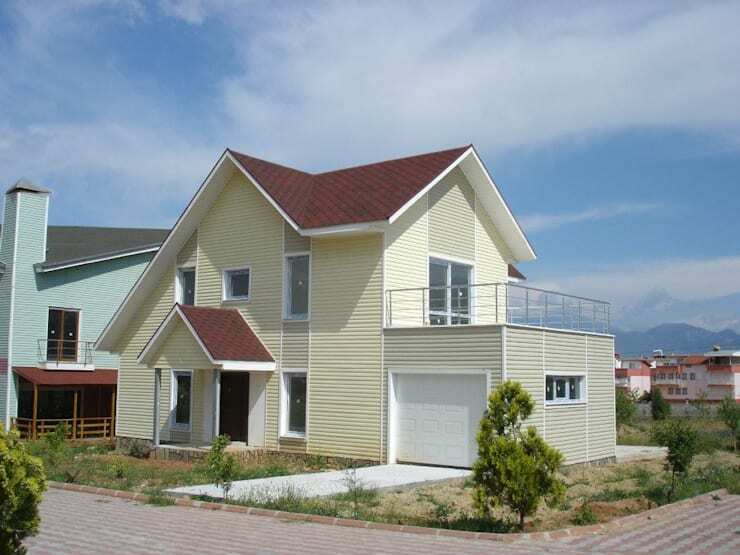 If you wish to, you may easily build a two story modular home on residential plot. 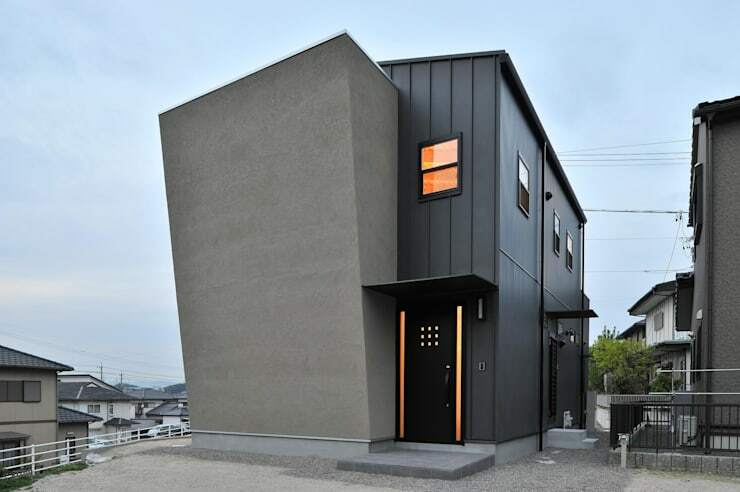 The design of this black and grey façade makes the house look like a monolith. It stands on an elevated spot. The windows, throwing warm light through the glass, help gain a panoramic view of the city. 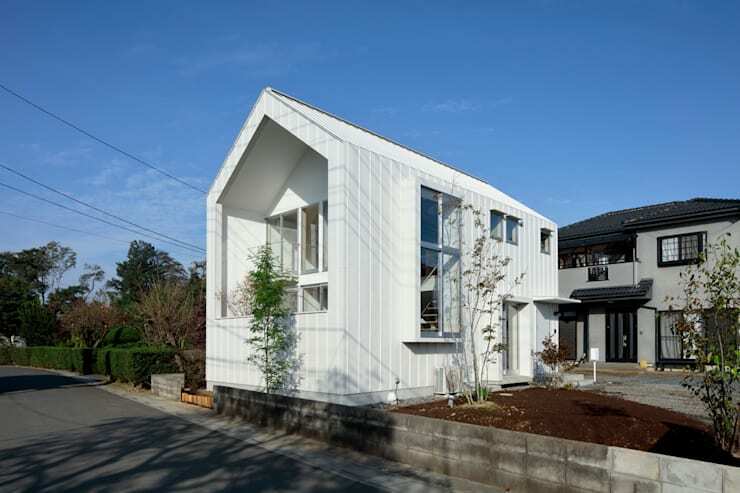 Trend meets tradition in the architecture of this small home. It evokes the memories of the colonial era building. Wood cladding and a spacious porch give it a stylish feel. Can you imagine a house smaller than this? It shows us the power of contemporary architecture. 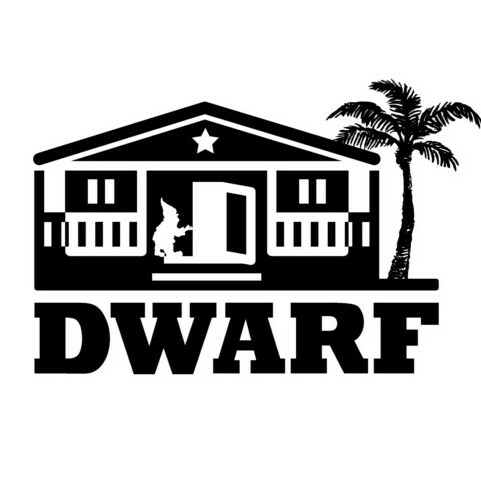 You can build a comfortable house almost in any space, however small. The white façade, partly accented with wood, looks very elegant. 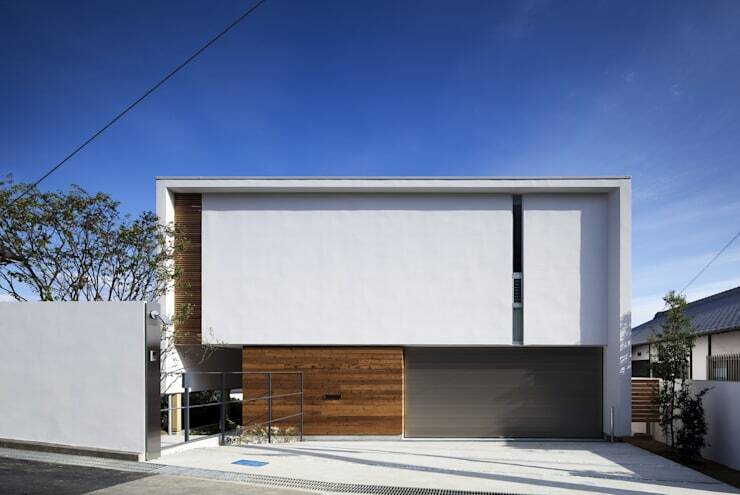 The exterior of this house is decorated with wood and concrete. The elegance of wood balances some of the stern nature of exposed concrete. The greenery around proves the perfect setting for the inhabitants of the house. 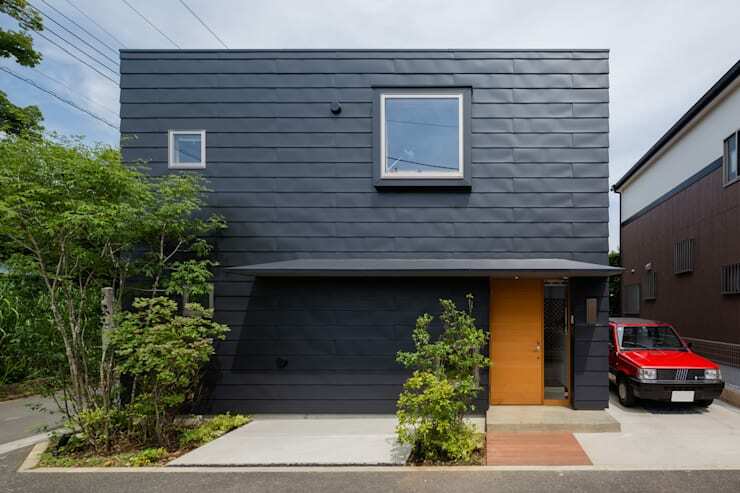 The pitch dark tone of the exterior walls of this small house gives it a very striking appearance. By planting green shrubs and trees, the owners have made the perfect use of the small front yard. Though simple in design the house does not fail to win admiring glances from everyone who goes by it. For more colour inspirations, see the spectacular designs of these small homes. Which of these tiny two story houses did you find most interesting?